This book aims to examine innovation in the fields of information technology, software engineering, industrial engineering, management engineering. Topics covered in this publication include; Information System Security, Privacy, Quality Assurance, High-Performance Computing and Information System Management and Integration. 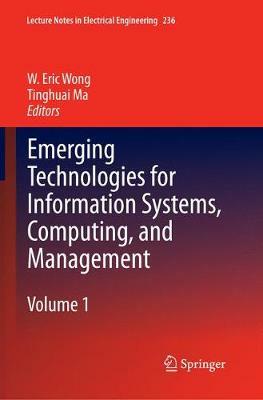 The book presents papers from The Second International Conference for Emerging Technologies Information Systems, Computing, and Management (ICM2012) which was held on December 1 to 2, 2012 in Hangzhou, China.